If a pipe burst or other incident leave water on the wood surface of your floor, don’t wait until the next day to clean it up. Do you have wood floors in your Germantown, TN, building? This material adds a nice touch to your office. These floors are durable and easy to maintain. Some things can pose harm to a wood floor, namely water. If water leaks or dumps onto your floors, it’s crucial to clean them and dry them quickly. If you don’t act fast or appropriately, you may have to replace the flooring. If you notice a wet floor with a significant amount of water, make sure you get any wet materials off the ground immediately. This may include furniture, boxes, chairs, and desks. These items will only continue to put more water on the floor. You can remove small or moderate amounts of water from the floor with a mop or cloth. However, if there’s a pipe burst, and you find inches of water, you need something more heavy-duty such as a wet vacuum to thoroughly soak up the water. You should do this as soon as possible to save your wood floor and keep mold from growing. Removing the water isn’t enough; you need to dry the affected area thoroughly. 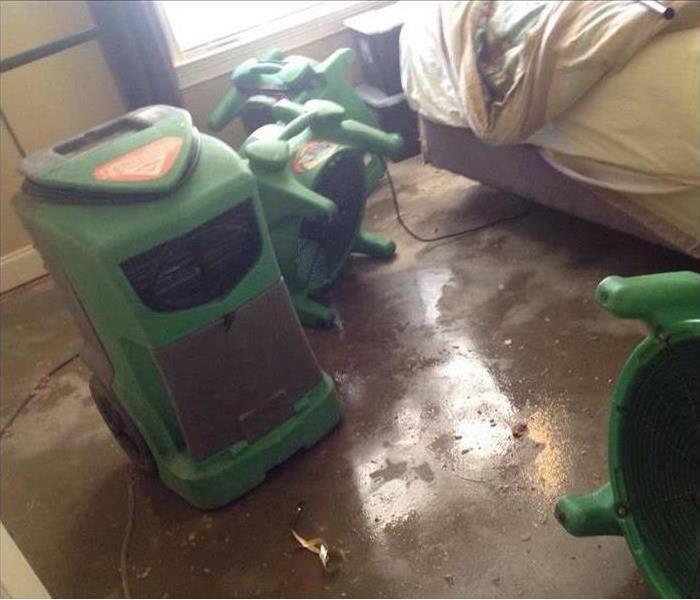 A professional water removal specialist can do this with industrial-strength fans. If a pipe burst or other incident leave water on the wood surface of your floor, don’t wait until the next day to clean it up. Follow these tips and save yourself a lot of time and hassle. Does Mold Grow Even in Drier Climates? 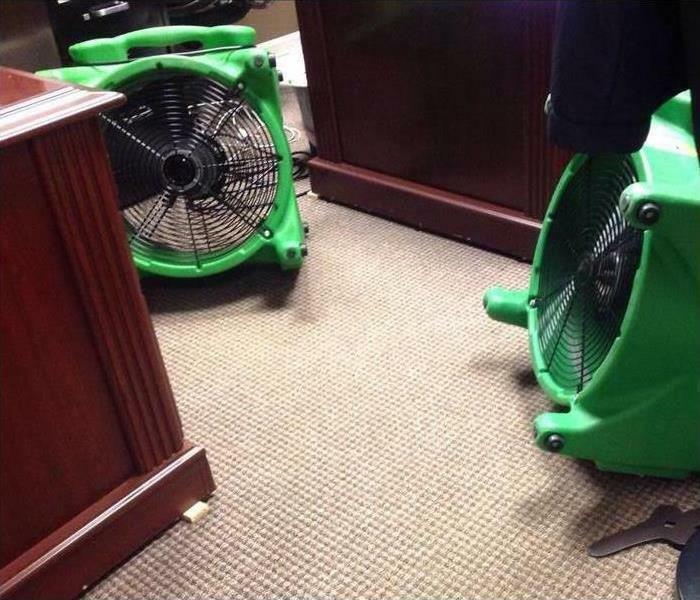 The thought of mold showing up in your office may cause worry and concern if you live in an area of high humidity. How should you feel if you live and work in places where it’s typically much drier? Should you expect black mold issues to creep into your building in Memphis, TN? Though fungal problems persist most usually in wet areas, no place is completely immune. If your office has any of these areas of issues, you should inspect them and take action. It’s easy to see how fungal growth can creep up in your building, even if rain has been absent for weeks. For example, if you have an onsite fitness room with showers, and your fans are broken, there’s a chance you could spot some black mold. If you have old pipes in the plumbing system, they could start to crack and break. Also, if seals in the windows and on the roof are wearing out, when rain does fall, it could slowly find its way inside. Over time, this could develop into mold. If you do spot mold, you need to get on the phone immediately with a mold remediation specialist. A group of professionals that have expertise in this area can clean up the substances and give you peace of mind. Don’t assume because you live in a dry climate that black mold is impossible in your building. Implement proper safeguards today. When an area in Bartlett, TN, is affected by a disaster, catastrophic loss often occurs as a result. However, employing a restoration company that can offer a large loss response can be useful for insurance agents and for business owners. When a major disaster strikes, the aftermath can be devastating, and it’s common for restoration experts to be overwhelmed with requests. Some local restoration companies may not be equipped to handle all types of disasters, and these companies may not have access to specialized tools. A restoration company with a wide reach can bring in experts with the necessary tools from various locations to assist in the cleanup and restoration process. Whether a catastrophic loss occurs as the result of flooding, storm damage or a fire, it’s important for business owners and insurance agents alike to know that the professionals restoring commercial properties are experienced. One person alone may not have the experience to respond to a major disaster. However, when numerous people assist in responding to a disaster, the combined experience of everyone involved makes the loss response team equipped to manage many aspects commercial property damage. When widespread damage occurs to an area, a local restoration company may not be able to make an assessment shortly after the disaster. Unfortunately, a slow response can cause a property to acquire more issues, such as mold growth, structural damage and more. With a large loss response, however, professionals can quickly assess a property, and after a thorough assessment, experts can assist in preventing additional damage and can begin restoration. 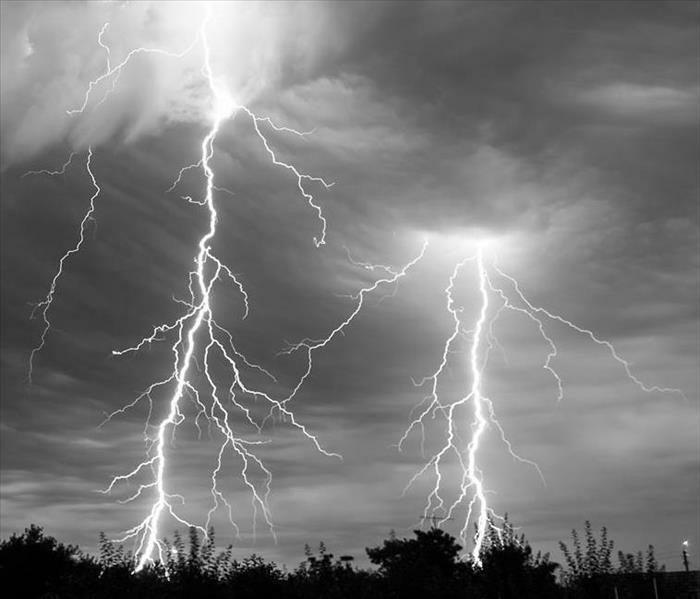 A large loss response can make managing the effects of a catastrophic loss easier. A large loss response will allow various professionals from different areas to assess the damage, experts will have the combined experience to handle various major problems and the response will likely occur in a quick manner. Attention Cordova, TN, homeowners: your toilet is not the only appliance that needs flushing! The water heater is a commonly neglected home utility. When showers run hot, the average homeowner doesn’t consider the necessary maintenance. 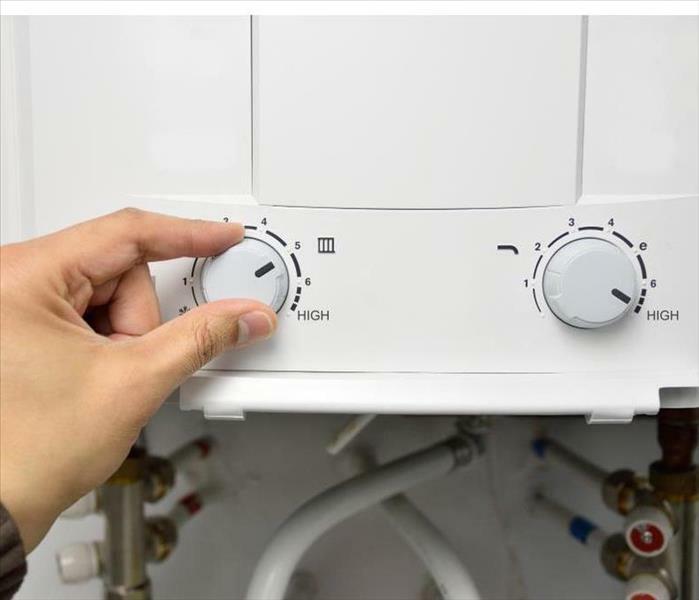 However, being proactive and performing a yearly water heater flush can help you avoid costly repairs and extend the life of the appliance. Here are five easy steps to get the job done. If the unit runs on gas, extinguish the pilot light by turning the gas off. If the heater is electric, cut the power to the unit by switching off the corresponding circuit in the home’s breaker box. With work gloves on, attach a heavy-duty garden hose to the heater’s drain valve and run the remaining hose line out of the house. Warm water and sediment will evacuate the hose, so choose the hose end location carefully. Drain the water heater tank by opening the drain valve and releasing the water. After a few minutes, run hot water from the kitchen faucet to expedite the draining process. Next, turn off the water supply valve until the draining slows to a stop. Open the water supply valve once more to complete a thorough flush, then close it again. Ensure the drain valves are closed and turn the water supply on to refill the tank. The open kitchen faucet will begin trickling and sputtering water slowly as the air bubbles are purged from the tank. Once a full stream of water is flowing, the tank is full. Turn on the unit’s power and heating element. Do not execute this step until the tank is full, or heater damage may occur. Lastly, turn off the kitchen faucet. Considering how simple it is to complete this often-overlooked maintenance task, performing it yearly can avoid a water heater malfunction that could result in a flooded home and the need for water damage repair. Does a Remediation Company Need To Be Certified? You experience a flood and subsequent mold damage, you look online, and you pick the first - or the cheapest - remediation company you can find. Situation averted, right? In fact, all remediation companies are not created equal - a lesson that can be costly if your insurance company fails to cover work by an uncertified remediation company. There are good reasons why, if you are facing mold damage in your Memphis, TN, business, a certified mold remediation company is the best choice. Choosing a certified mold cleanup company is not a must, but it’s a plus that can save you time, money and a lot of frustration in the long run. To a consumer, the above might not seem that important, but these standards have practical applications in your home. For one, certification ensures accountability, as the company is compelled to maintain a standard of quality to keep their certification. Getting the certification also requires a high amount of knowledge, so choosing a certified company virtually ensures you’ve chosen one of the best in the field. Moreover, many insurance companies hesitate to cover work by an uncertified mold removal company. That means choosing a certified company can lighten the cost load of mold removal, as your insurance will likely cover it. When you’re looking for mold remediation, it’s not time to cut corners. Look for a certified mold remediation company with the proper IICRC verifications, and you can rest easy the job will be done right the first time. Recommend certified mitigation professionals to your clients. When homes in Grove, TN need remediation, you want to be sure that the company handling the problem adheres to the highest industry standards. The standards for the restoration industry are set by the Institute of Inspection Cleaning and Restoration Certification. 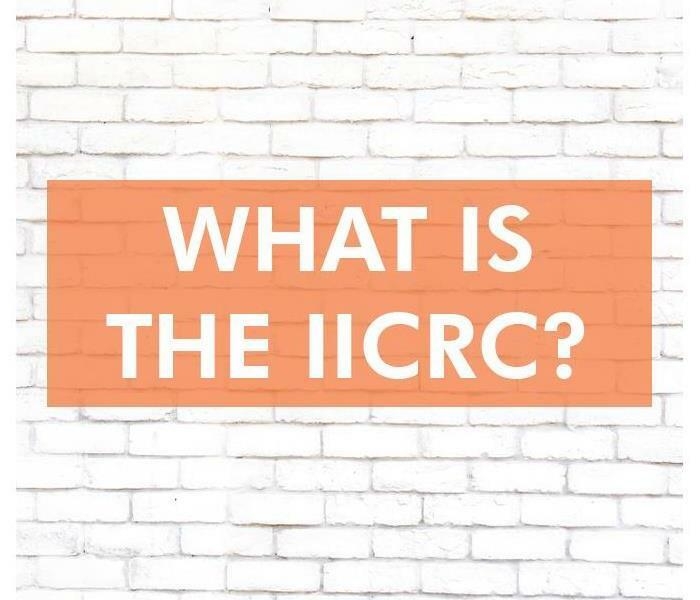 The IICRC is a third party certification organization, which means it approves instructors and schools to teach the skills needed to meet its values of expertise, integrity and excellence. Receiving a mitigation certificate after completing these courses means that the individual has the knowledge needed to do the job right. When clients hire someone to fix a problem in their homes, you want to be able to verify that the technicians are certified mitigation experts. It is not enough that technicians know what they are doing. They also need to be honest and trustworthy. When a company or individual is certified by the IICRC, you know you have found someone on whom you can rely. They adhere to a strict standard of ethics and can be expected to be upfront about their assessment and treatment of your clients' homes. When specialists are trained by a certified school or instructor, they learn how to exhibit high standards of service. Continuing education courses improve knowledge, turning technicians into industry leaders. These classes also serve to educate insurance and real estate professionals regarding various mitigation processes. Shared knowledge strengthens these partnerships so that together, they can offer more excellent service to the customers they share. A third party certification organization sets the industry standard that all mitigation professionals must meet. The values of the IICRC are reflected in each training program and instructor it approves. To ensure quality, professional service, recommend certified mitigation professionals to your clients. Mold can be found in humid places or it can be caused by Water Damage. Mold and mildew are the most common household and business problems across the United States. Chances are that you've probably had mold damage in your house at one time or another. Mold damage isn't just unhealthy to be around, but it can be incredibly damaging to walls, insulation and the overall structure of the home. If left to fester, the area that has been impacted can become out of control, requiring more commercial mold damage services than before. There are a variety of ways to tell if your home has mold damage. For one, you'll be able to spot the fungus and mildew with your own two eyes. Unfortunately, mold is not just at the surface level, so trying to clean mildew and fungus yourself often isn't enough to thoroughly get rid of it for good. This is why you'll find that no sooner do you clean the fungus, it is already growing back. 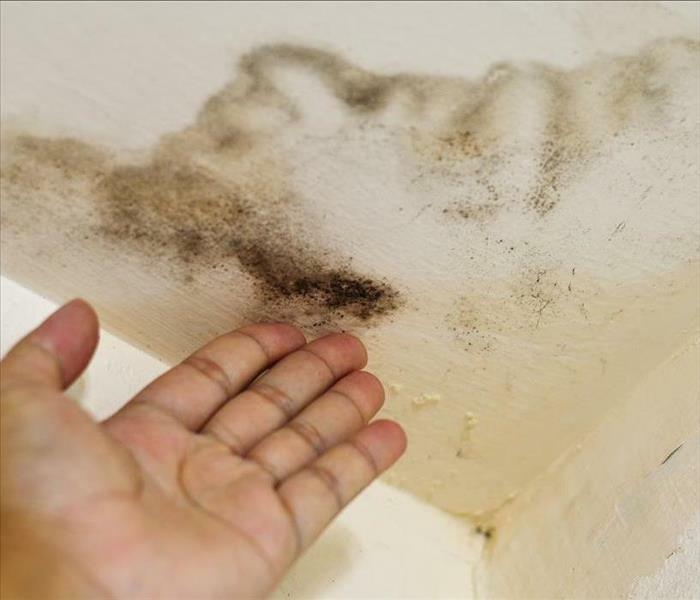 Also, you'll have a smelly odor emanating throughout the home or office, which is a sign that you have a mold damage problem. Expert mitigation and remediation is essential because you're dealing with professionals who have years of experience and all of the right deodorization tools to get your home or office back to its former glory. 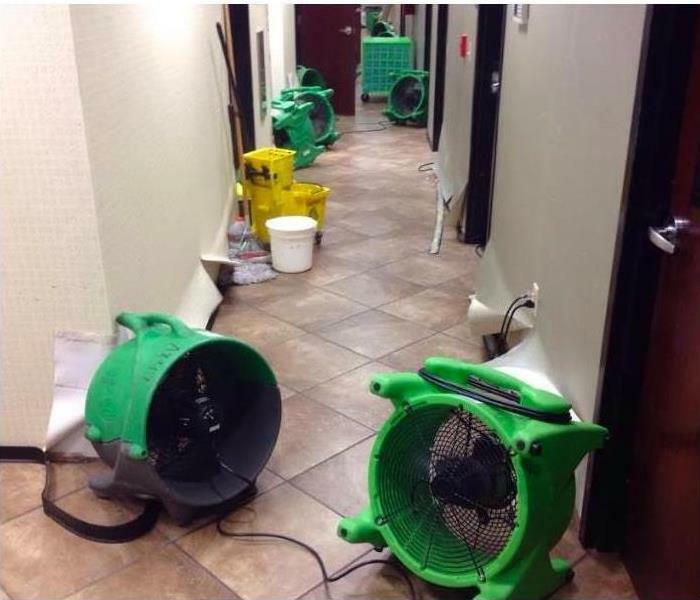 It's also a safer way to handle the commercial mold damage issue, since you won't be the one handling it on your own. Mold in your home can be devastating, but the experts bring all of their own tools and skills to get the job done properly so that you don't have to figure out how to do it on your own. The best way to find a commercial mold damage company is to read reviews and look locally. If you hire a company too far away from your home or office, you're liable to pay a travel fee just so that they can come out to look at the damage. Keep in mind that the mitigation and remediation experts will first need to come out to the property to fully assess the damage before they can begin the work. Once the mitigation and remediation experts do this, they will give you a full quote for how much the project will cost. If you have insurance on your property, it may cover the costs of mold removal in your home. 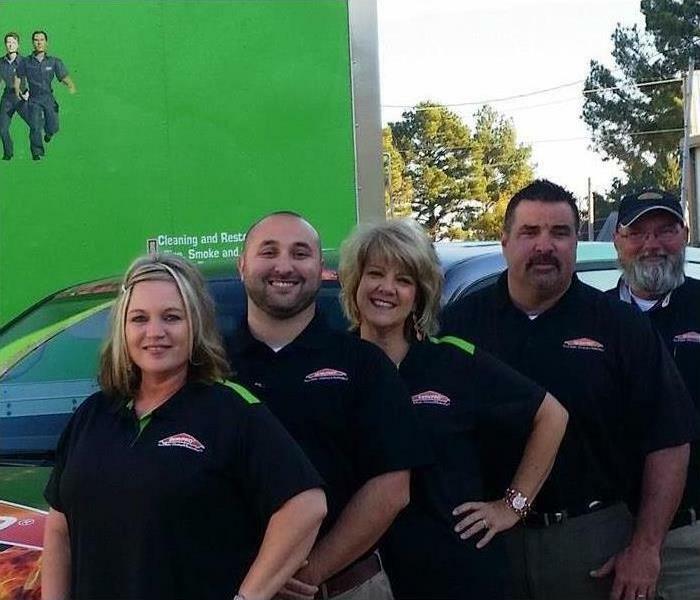 When you hire a company to handle the mold in your home, you're taking the guesswork out of the job for yourself and your family. Mold removal can be pretty complicated, especially when you consider the deodorization techniques necessary to get rid of the fungus and mildew as well as that awful smelly odor. Commercial mold damage is also important to get rid of, since you don't want your customers and employees breathing in the fungal spores every time they come to do business. The best way to prevent mold in your home and that pungent smelly odor is for you to be wary of how water is used and dispersed. 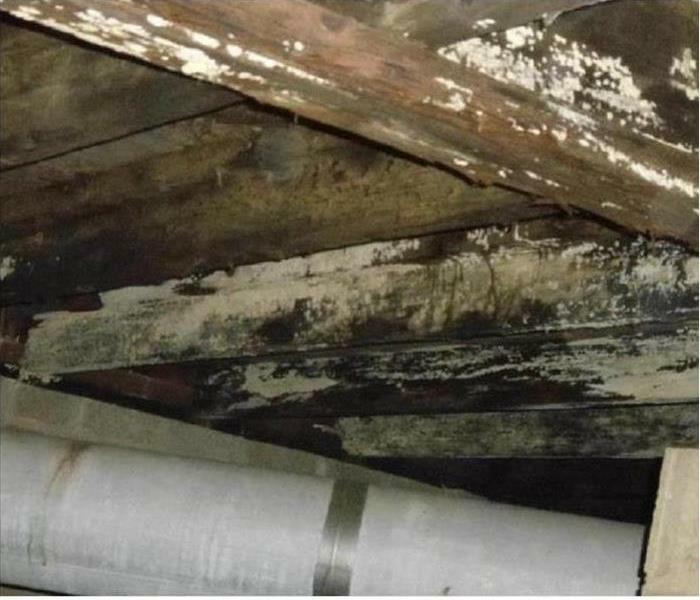 If you tend to deal with mold in the home a lot, it could be a sign that you have leaking pipes or attic condensation that is allowing for water buildup in certain areas. In these cases, deodorization for the smelly odor just isn't enough, as you'll need to get rid of the cause of the mold entirely. The moment you notice there is a mold problem, be sure to hire the pros so that they can do the proper deodorization and restore your home back to the way it was before so that it's easier for you and your family to live comfortably. 4/9/2019 - Does Mold Grow Even in Drier Climates? 3/4/2019 - Does a Remediation Company Need To Be Certified?